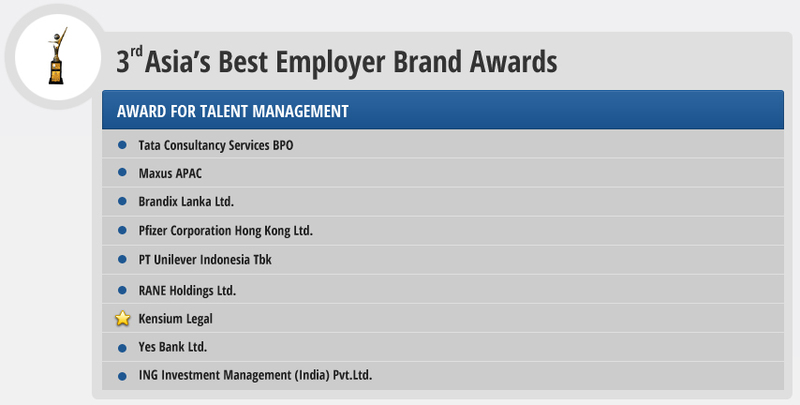 ABEB (ASIA'S BEST EMPLOYER BRAND AWARDS) has felicitated Kensium BPO “ Award for Talent management” . The event was hosted by the Employer Branding Institute at Suntec Singapore International Convention & Exhibition Center, Singapore, on 19th July 2012. The awards were hosted by the World HRD Congress, Employer Branding Institute and Stars of the Industry Group, in a glittering ceremony. The Employer Branding Institute is a virtual organization. Senior leaders in HR connect with each other in the cyber space to share the best practices in Employer Branding and outstanding professionals in several countries who are contributing to “Talent Management, Talent Development and Talent Innovation” are a part of the Employer Branding Institute. 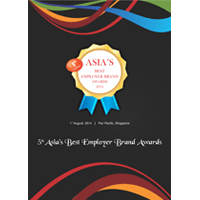 This virtual organization is exemplary of the manner in which it is run and created a platform to celebrate the best in Employer Branding in several Asian countries. With over Six years of existence the network of Employee Branding Institute is increasing in size and stature with several HR leaders from over 36 Countries, recommended individuals and organization who are doing exemplary work.